Casino.com is an online gaming site that always offers players the chance to cash in on amazing prizes both inside and outside of their casino games. There is always a generous promotion on at Casino.com, and currently the site is running two great holiday giveaways. The Dubai Dreams promotion offers players the chance to win a trip to Dubai, one of the world’s most popular holiday destinations. It is a prize draw giveaway where players receive one entry for every $30 the deposit. The more players deposit, the more entries they will win, and their chances of winning will increase. Players have until 2 June to earn their entries, and the prize draw will take place the next day. The winner of the draw will win a six-night holiday to Dubai for two. The Lucky Break promotion offers players the chance to win weekly bonuses worth up to $2000, and the opportunity to win a holiday of their choice. This is a leaderboard promotion in which players receive points every time they play games at Casino.com. There will be a new leaderboard every week, and the winner each time will receive a $2000 prize. If you win, where you spend your prize holiday will be completely up to you! 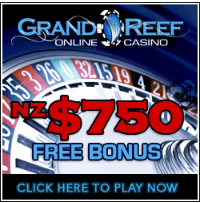 Learn more about this online casino and opt-in to the promotion here.